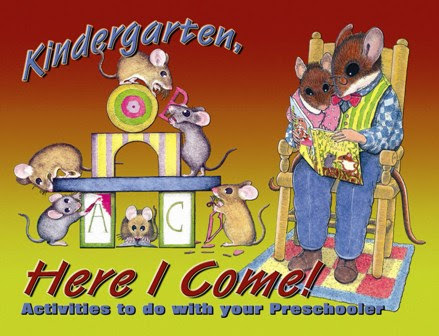 to help your child prepare for Kindergarten. Did you know that when children play, they learn? It's true! During November, encourage your preschooler to play. Then visit the library to find a book about the activity. Do it! Used stuffed animals, action figures, or dolls to retell a story you've read with your preschooler. Use a sock to make a puppet for storytelling. Read it! The Relatives Came by Cynthia Rylant. Neighborhood Mother Goose by Nina Crews. Do it! Use objects to make patterns with your preschooler. Lay out spoon, spoon, cup and ask your child to make the same pattern. Or, try black sock, white socks, black sock and see if your preschooler can tell you what's next. Read it! Stripes of All Types by Susan Stockdale. Elmer by David McKee. Do it! Play "Guess the Taste" game. On a plate, put different foods (like peanut butter, lemon, cheese, pretzel). Have your preschooler close his eyes, then give him a taste. See if he can guess which it is! If your preschooler is hesitant to taste the items, have him smell each item. Use items with strong scents. Ask him to identify the scent. If an open ended question is too difficult, simplify by giving a choice, "Is this peanut butter or a lemon?" Do it! Look though magazines or catalogues to find people's faces. Talk about the expressions and emotions showing on their faces. "That person is frowning. He is probably sad." How many different expressions can you and your preschooler find? Read it! Alexander and the Terrible, Horrible, No Good, Very Bad Day by Judith Viorst and Ray Cruz. The Pout-Pout Fish (A Pout-Pout Fish Adventure) by Deborah Diesen and Dan Hanna. Get more books and activities at the PA's Promise for Children website. Why is it important to read to your preschooler? 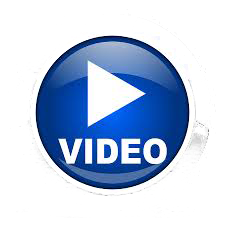 Watch a special video message from Michelle Figlar, Deputy Secretary of the Pennsylvania Office of Child Development and Early Learning on why it's so important to read to your preschooler. Although important literacy skills begin developing at birth, they continue as your child gets older. Use these tips to help your preschooler develop the literacy skills needed to be successful in school. Talk, talk and talk some more with your child. Ask your preschooler to describe his day and what he did. Make sure to share your day as well! 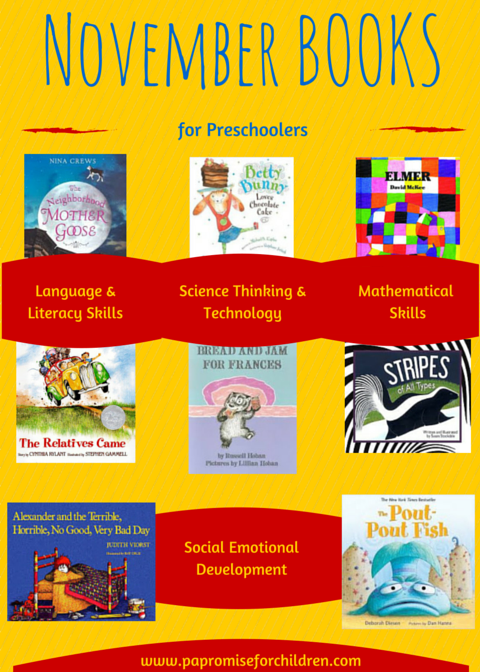 Look at books or read with your preschooler at least 20 minutes every day. It's okay to read her favorite book over and over, or you can visit the library to get different books. Before reading the words in a book, look at and talk about the pictures. Can he guess what the story might be about? While reading a book together, connect the book to your preschooler's personal experiences. Ask her what she thinks might happen next in the story. After reading a book, talk about what were his favorite parts. Model good reading habits by reading magazines, books, or newspapers for your own enjoyment. Print these tips! 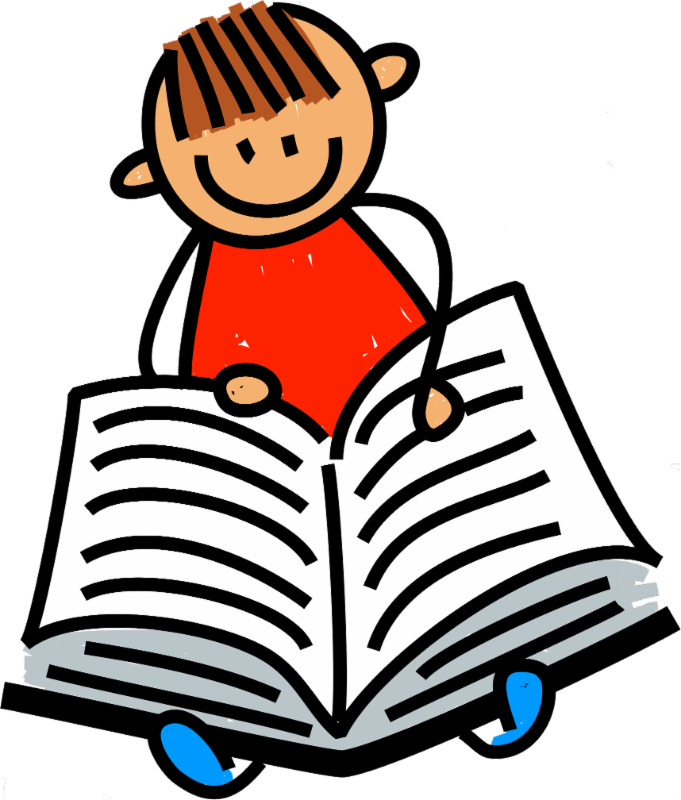 Click here to get a great book list from PA's Promise for Children! Traveling with a preschooler can be challenging, especially if you're unprepared. Try these tips to keep your preschooler occupied and save your sanity this upcoming holiday season! Plan ahead. If your trip is delayed due to weather, traffic or cancellations, be prepared with enough drinks and snacks. Start singing! Singing with your child will help pass the miles.Your library has music to borrow to help keep your child entertained. Pack smart. Add a small pad of paper and crayons or colored pencils to a purse or back pack for drawing pictures, creating origami (fold into the shape of a square! ), or playing a game (like tic-tac-toe). Be selective. 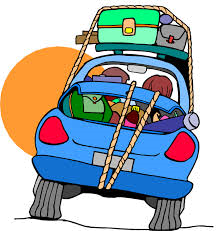 Set aside specific toys and books for use only while traveling. Keep them in a small basket beside your child's car seat or booster seat for easy access. Keep it real. Have reasonable expectations of yourself and your child. Take breaks when needed. Stay well hydrated and well fed. Travel can be dehydrating, and empty tummies are grumpy tummies, so take travel-friendly snacks like dry cereal and fruit. Pack water or juice boxes. Fly friendly. Traveling by plane? The Transportation Security Administration (TSA) has some tips for traveling with children. Visit PA's Promise for Children for more tips. Children learn through play and by engaging their senses. Sensory learning activities are any activity that stimulates your child's senses: touch, smell, taste, sight and hearing. Sensory Learning activities naturally encourage children to learn using scientific processes while they play, create, investigate and explore. Check out these activities to encourage children to learn using their multiple senses. Check out the Preschoolers Learning Through Play Pinterest Board! Click here to sign up & get this delivered to your email! Thank you to our Include Me partners for ensuring the activities in this newsletter are inclusive of all children and their families. 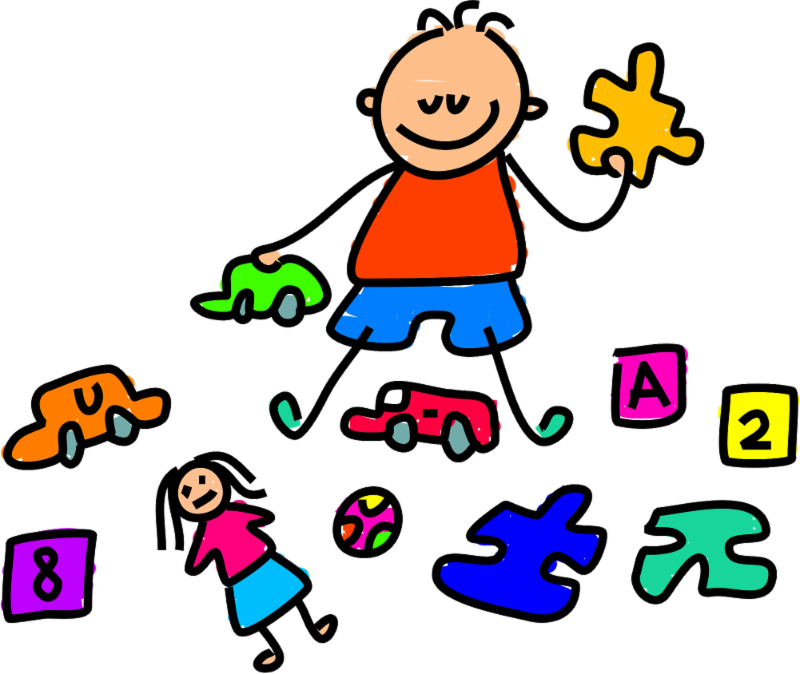 The Arc of Pennsylvania's Include Me Preschool program aims to increase the capacity of parents and professionals to include children with all abilities in all aspects of life. Children can, and should, be included in all activities and routines at home, church, childcare and school. Some activities may need to be modified or adapted to meet your child's needs, this requires an open mind and some creativity, but is possible. Include Me offers training and support to increase the capacity for inclusion across environments.